Pranjit Deka, the new Resident Chief Executive of OIL. Pranjit Deka, Executive Director (HR&A) takes over as Resident Chief Executive of Oil India Limited (OIL) with effect from 1st February, 2019. 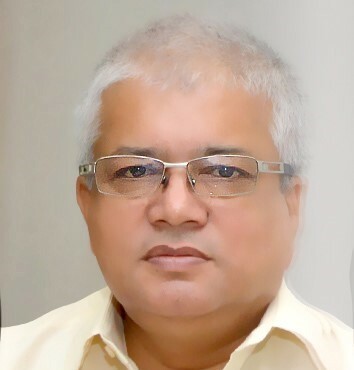 A Civil Engineer by profession with a degree in Management (HR) and a Certified Petroleum Manager, Shri Pranjit Deka has been working in Oil India Limited since 1983. As Executive Director (HR&A), he was the overall in charge of the HR functions of the Company at Field Head Quarters (FHQ), Duliajan and was responsible for policy formation and strategic decision making on diverse areas that also included the implementation of CSR projects in the last twelve years. A visionary leader with strategic intent and wide experience, Deka believes in fair and firm dealing. A social person, with exposure in working with diverse communities at the grassroots level, Deka is actively associated with various social organisations and public institutions. Deka has been conferred with “Pride of Assam Award” by Employers Branding Institute, India recently and he is presently holding the position of Chairman, Assam Chapter of NIPM (National Institute of Personnel Management). One of his focus areas includes the responsibility of devising policies and strategies for effective boundary management and integration with different stakeholders – communities, organizations, district authorities, Govt. representatives, public, unions & associations etc. As a Civil Engineer he had a record of preparing the highest numbers of drilling locations in a financial year.